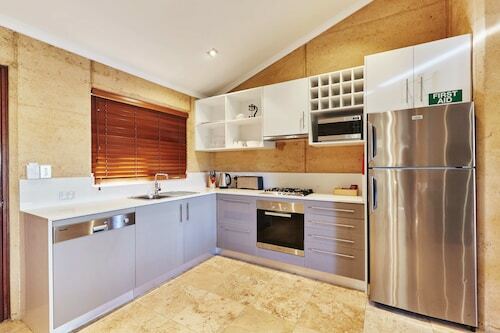 Situated by the ocean, this apartment building is 0.3 mi (0.6 km) from Geographe Bay and within 9 mi (15 km) of Meelup Beach and Yallingup Beach. Cape Naturaliste Lighthouse and Canal Rocks are also within 12 mi (20 km). 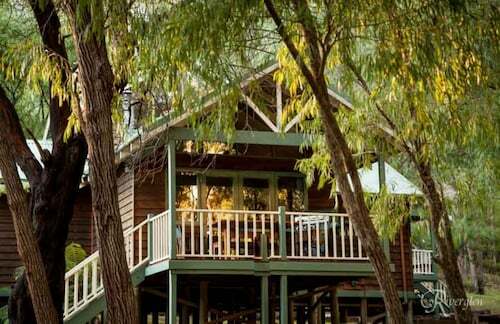 Situated in Quindalup, this farm stay is within 3 mi (5 km) of Geographe Bay, Dunsborough Visitor Centre, and Happs Margaret River. Country Life Farm and Mongrel Creek Wines are also within 6 mi (10 km). 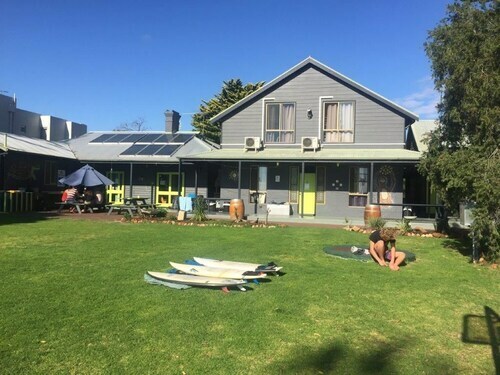 Nestled on the beach, this Quindalup hostel is within 3 mi (5 km) of Geographe Bay, Dunsborough Visitor Centre, and Country Life Farm. Meelup Beach and Happs Margaret River are also within 6 mi (10 km). 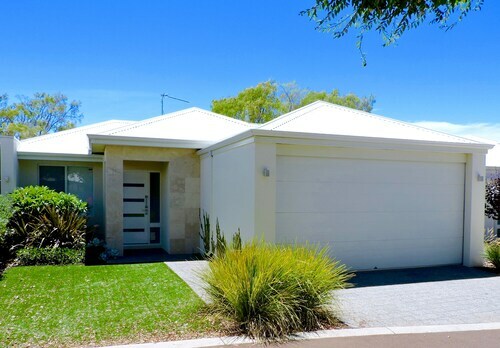 Situated in Quindalup, this vacation home is 0.9 mi (1.5 km) from Geographe Bay and within 3 mi (5 km) of Dunsborough Visitor Centre and Country Life Farm. Happs Margaret River and Flametree Wines are also within 6 mi (10 km). Are you looking for an interesting district in Margaret River Wine Region? Quindalup can be found 35 kilometres north of the CBD. The wines made at Mongrel Creek Wines display the region's climate and grape varietals. Request a tasting session to see for yourself how these factors impact the flavour. If you'd like to kick your heels up close by, consider the Ocean Vines Retreat. You won't find it too hard to locate The Cure during your stay in Quindalup, just follow the aroma of fresh roasted coffee beans! As well as hot drinks, they have plenty of pastries and sweets to help keep your every levels up. On the hunt for a nice place to have dinner? Palmer is a local favourite. Reserve a table and see if you're able to decide between all of the delicious meals on the menu. Having trouble securing the perfect Quindalup room? 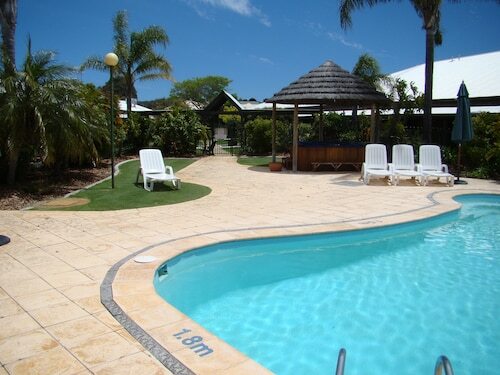 It is worth considering the hotel options in the Quedjinup hotels guide and the Wotif Yallingup Siding hotels guide. Quindalup offers visitors plenty to see and do as well as great accommodations. 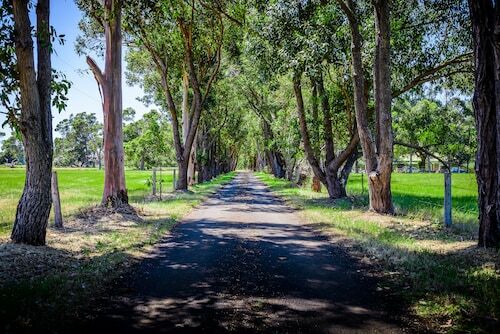 Come on, you know you deserve a break, so when you're ready to make tracks to Margaret River Wine Region or anywhere else in this incredible world of ours, Wotif can get you there, on time, on budget and in style. How Much is a Hotel Room in Quindalup? 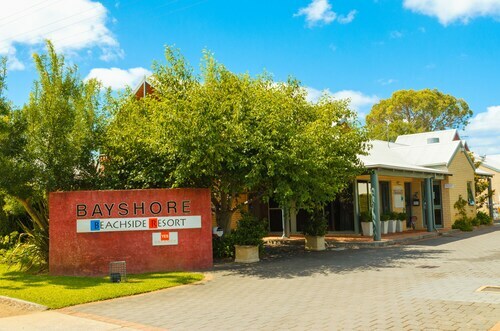 Hotels in Quindalup start at AU$88 per night. Prices and availability subject to change. Additional terms may apply.